For years dogs have been noted to only being able to see in black and white, but last year Scientist Jay Neitz from the American university carried out experiments on dogs to test whether they could see in color or not. He discovered that while human eyes have three ‘cones’ that detect color and can identify red, blue, green and yellow light; dogs only have two. This means dogs can distinguish blue and yellow, but not red and green. Read more. So everything is NOT in black and white for your dog. And you, as the owner and trainer can easily be sending your dog mixed messages. Not just in the way they view color, but in the way they view what you are trying to say to them. For instance if you tell your dog to get down from the couch… they’ve heard you say “down” before, so they may think you are telling them to “lay down”. TIP ONE: As a trainer I use the word “Off” when I want them to get off from someone or something. If I want them to lay down, I use the word “Down”. We may confuse our dogs if we aren’t using distinctive commands. TIP THREE: Dogs are visual. When teaching commands, it is an excellent idea to use hand signals as well as verbal commands. Recently I had the opportunity to work with a Pitbull pup who was deaf. He had mouthing issues and his owner didn’t know how to teach him not to bite or how to get him to come, sit, and lay down. After one session this eight-week old puppy had learned the word “NO!” and not to bite, as well as come, sit and down, just by using distinctive hand signals. TIP FOUR: Dogs can be calmer and less excitable if we remain calm and less excitable. For instance, if you don’t want your dog barking, jumping, and crazy when you walk in the door, don’t get them all excited and act excited to see them. Instead, calmly walk in, ignore them for the first 5-10 minutes and then, when they are settled and not paying attention to you, go find them and pay attention to them. TIP FIVE: Dogs who get free treats have no reason to obey their owners. Instead of just giving your dog a bone or treat, ask them to do something: come, sit, shake, lay down, stand on their hind legs, sit pretty, dance or do something. Dogs want to receive affection and admiration from their owners as much as they want treats. Whereas a dog that gets free treats, all the time, will become overweight, disobedient, and stubborn. I love taking pictures. Although I’m not a professional photographer, I’ve been asked to shoot numerous weddings, doggy events, and other special occasions. I have thousands of pictures on my computer. But I needed more business type photos for a blog I was doing on school bullying, so I did a Google search and found some really awesome photos and I saved them to my computer. Some photos say right on them that they are copyrighted, but most do not. I remember being warned by a close friend about using photos off the internet, but I’d done it before and nothing happened, so I figured it was no big deal. After all we’re a non-profit organization that helps people and dogs, not some business out to make a million dollars on a photo. Turns out, I should have listened to my friend. Recently Getty Images sent me a letter, saying they were charging me $600 for using that photo. I did some research online and found that the best protocol to deal with Getty was to write them a letter explaining that I had no idea the photo belonged to them and I’d already removed the tiny picture from my blog and website. I also informed them that we had no funds–that all of our money goes into rescuing needy, hurting and abused people and dogs. The next letter I got from them said if I didn’t pay the $600 they were suing for more. So I waited, praying this would all go away like a bad dream. But it didn’t. They sent a third letter, this time from an attorney saying they were suing for $1,600! I called my tax attorney. He advised me to make them an offer and settle out of court, so I did. If they do not settle for the amount I’ve offered them and take me to court, we will be forced to close our non-profit. I will keep you informed. So, bloggers, web designers, and searchers beware of stock photos on Google and other sites that appear to be free. After all, what is free today? The only thing I know for sure that is free is salvation in Christ, and that’s way better than any picture you can take or buy, and it’s everlasting for this life and the life to come. I will say, this has taught me a valuable lesson. 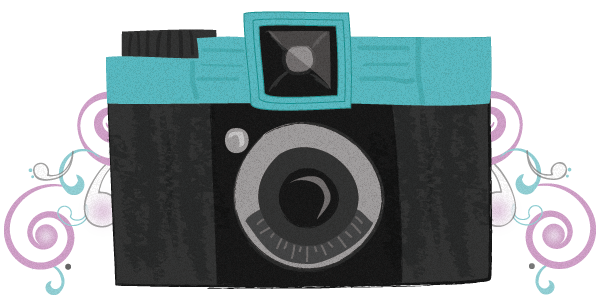 Now I take all my own photos that appear on my blog or website, or if I do use other photos I get permission from the person that the image belongs to before I even consider using it! 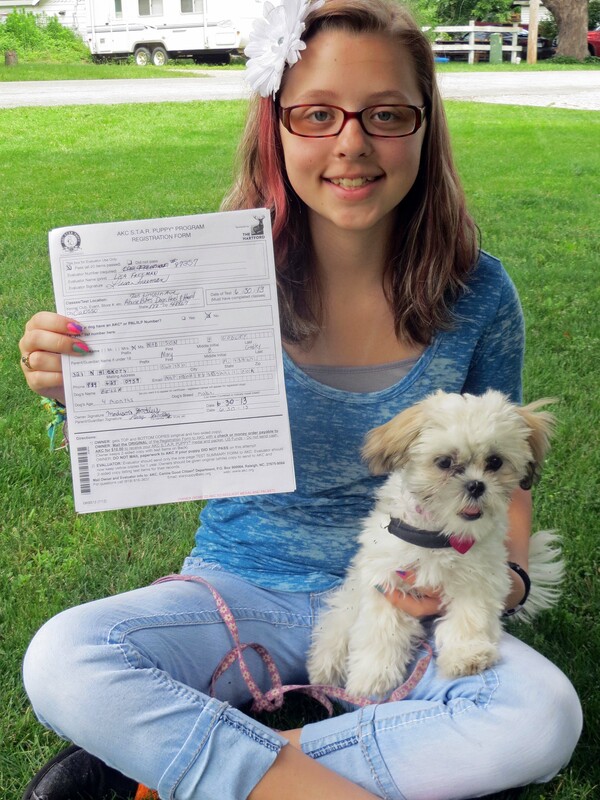 Madison was a responsible dog owner. Her puppy Bella was in my training classes, had already received her AKC Star Puppy Award, as well as a born natural in pet therapy and going on group visits to the nursing home, and was about to get her AKC Canine Good Citizen Award. Before she could, she was brutally killed by two aggressive unleashed dogs one block from her home! We’re hosting an AKC Responsible Dog Ownership Days in precious Bella’s honor and asking for everyone’s support! 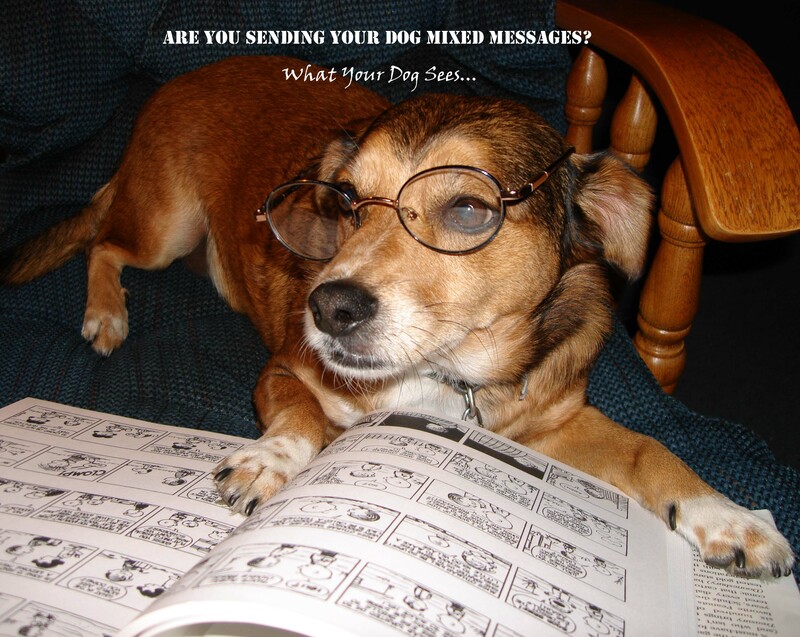 For more information, please log onto http://www.DogsPawsForHealing.com. Help us to EDUCATE DOG OWNERS and put a STOP to ANIMAL CRUELTY. We’d appreciate any feedback or support for this family and event. This photo was taken four days before Bella was brutally killed by two other dogs one block from her house. I’ve trained puppies and dogs, rescued puppies and dogs, loved puppies and dogs, and owned pups and dogs for a number of years. Yet rarely in any of my training sessions or experience with even my own dogs have I ever found all the qualities in one puppy or dog that Bella possessed. At only 4 months she had went through my private training class where she had mastered: coming, sitting, downing, and staying. She already received her AKC Star Puppy Certificate, had been attending pet therapy group sessions where she was a born natural (melted right in everyone’s arms), and the tragic night of her death she would have been attending her first advanced training session to work toward her AKC Canine Good Citizen Award. Bella was more than just another puppy, she was a young girl’s pet and best friend, a family member, and played a big part of healing in this society. She was soft, cuddly, adorable, intelligent, playful, friendly, and loving toward all people and animals. She didn’t have an aggressive bone in her body. To die a tragic death at the hands of two bigger bully dogs was senseless and disheartening. I commend her owner, Madison Godley. At just 14 years old, she is very responsible. In fact, she is one of the most responsible teenagers I know. She always kept Bella on a leash, fed/watered her, bathed her, trained her, rewarded and disciplined her appropriately, and even walked 60 miles this summer with her for an event to prevent abuse/bullying and cancer. Madison and Bella were a great team and won two 1st Place Certificates for the Paws for Healing Walk-a-Thon for getting the most pledges and walking the most miles. Being a responsible dog owner is an important task, as well as a tough one, I know. Yet, Madison did an exceptional job with Bella, even at her young age. It’s sad that she is the one who has to suffer and pay, while these other dog owners who acted irresponsibly are just slapped with a ticket when they let their vicious dogs out unleashed and they brutally attacked and killed Bella. It could be a child next time. There are leash laws in this city that require all dogs to be on a leash. If a dog is unleashed and doesn’t hurt anyone or another dog, then yes, give the owner a ticket. But my goodness, if a dog is attacked and killed, shouldn’t this dog or dogs be put down before it does even more damage and takes more lives? Please comment and tell us your thoughts. *We are hosting an AKC Responsible Dog Ownership Event in Bella’s Memory on Saturday, September 28, 2013. Please visit http://www.DogsPawsForHealing.com for more information. Thank you! In Loving Memory of our Precious Bella. You will be forever missed. A community is saddened by this devastating tragedy. Three young sisters lives changed forever. Terrified to walk in their own neighborhood for fear that these same two dogs will attack them. Yesterday 13 year old Madison Godley and her two younger sisters, from Owosso, witnessed something no child or person should ever have to endure. While walking her six month old Shitzu, Bella, home from picking up her sisters from school, Madison’s puppy was brutally attacked by two larger dogs and killed. Madison is a responsible dog owner. Bella was a sensational puppy, who had already gotten her AKC Star Puppy Award, was a natural at Pet Therapy, and was working toward her AKC Canine Good Citizen Award. 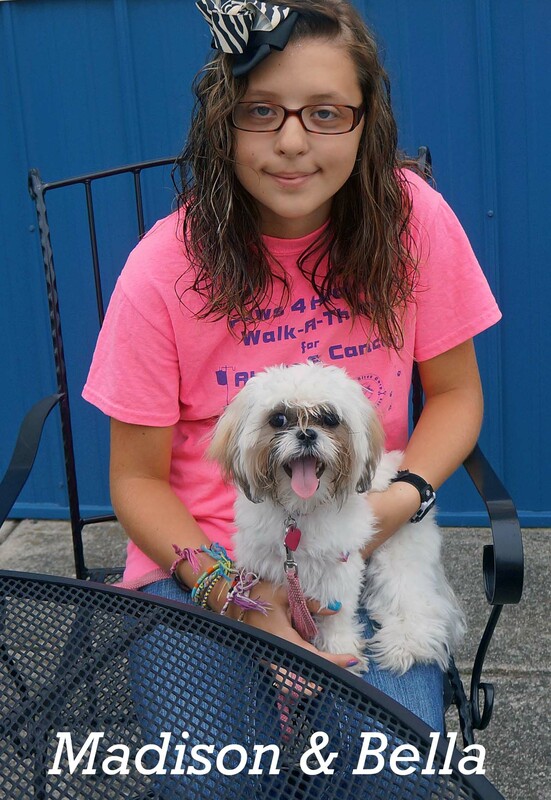 So a new date for the Responsible Dog Ownership Days is being set, in memory of Bella, for Saturday, September 28, 2013 from 6-7 p.m. at the Hugh Parker Soccer Complex in Owosso (in the grass closest to the parking area). The event is FREE, open to the public, and there will be door prizes. Anyone who would like to participate, donate a door prize, or help sponsor the event is asked to log onto www.DogsPawsForHealing.com, www.AbuseBites.com, email @ lisafree@DogsPawsForHealing.com or call 989-729-2124. Puppies and dogs are born chewers. It’s just part of their nature. 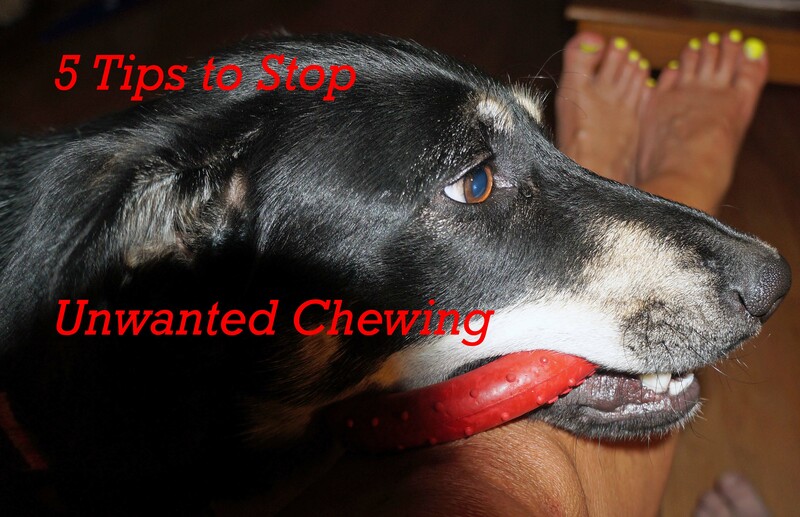 As a trainer, many times I get asked the question, “How do you stop dogs and puppies from chewing up stuff?” There is no easy answer, because some pups chew because they are teething, other dogs chew because they are anxious, others chew when they’re bored, and many others just chew because they simply love chewing. 1. All pups and dogs need exercise, at least 20 minutes per day, this is a play time with you (fetch, tug o war, running in the yard). When they are exercised they are more relaxed, not so anxious and will not be crazy or chewing out of boredom. 2. All puppies and dogs need structure, a balance of discipline and rewards (for bad and good behaviors). If you see they have chewed something up, take them to the thing they chewed tell them firmly “NO CHEW!” and give them a toy that they can chew. Give them good, healthy bones to chew on as a reward for good behavior. 3. Never allow your puppy or dogs to chew on clothing. Many people give their dogs old socks or mittens to chew on. This will only encourage them to chew on other items of clothing. Buy them bones and doggie toys from the store–you can find many durable, affordable fun toys your dog/pup will enjoy. 4. All Dogs and Puppies Must be Crate Trained. Especially f they struggle with separation anxiety, they will become crazy when you leave, and tear clothing, furniture, and other things up. If you crate train them, this will help break this bad behavior. Dogs and puppies actually like crates (not to be cooped up all the time) but it is like a den to them. I leave our crates open most of the time and dogs often go in them to lie down. 5. Teach dogs and puppies the “drop it” and “leave it” command. By training our dogs to drop or leave certain things, they will learn what they can and cannot have to chew on. For instance, “drop it” (my sock) pick up their teething bone and offer that to them. Offer them a play time with their toy and get rid of the sock.